The Brazilian manufacturer Randon has built a 500m long combined welding, painting and assembly line for trailers and railway wagons in São Paolo. Vollert has developed a heavy-duty material flow concept consisting of 13 combined rope conveyor drives, two moving distribution transfer platforms and the control system for the individually timed forward feed. From April 2018, trailers and wagons are being welded, painted and assembled in a combined line over a length of 500mm approximately. Different wagon and trailer lengths of 9 to 22 m are feasible. Randon’s product portfolio includes oversized sugarcane double trailers. “It is now possible to achieve a short clock cycle and a calculated capacity of up to 18 wagons per work shift”, explains Jochen Keinath, project manager at Vollert. At full capacity, wagons and trailers can be completed every half hour. Initially, the frame structures set up on dummy buggies are still fed manually into the system. Vollert’s automatic conveying line starts at a weight of 10 tons within the welding range at the end of the line, the total weight of the workpieces can reach up to 25 tons. A total of 13 rope conveyor drives, handle the buggies forward movement after each work step. For this purpose, the drives are arranged one behind the other to allow individual forward feed at the workstations At the end of a conveying section, the rope conveyor transfers the workpiece over to the next section. The painting area spans over a length of approximately 190m. 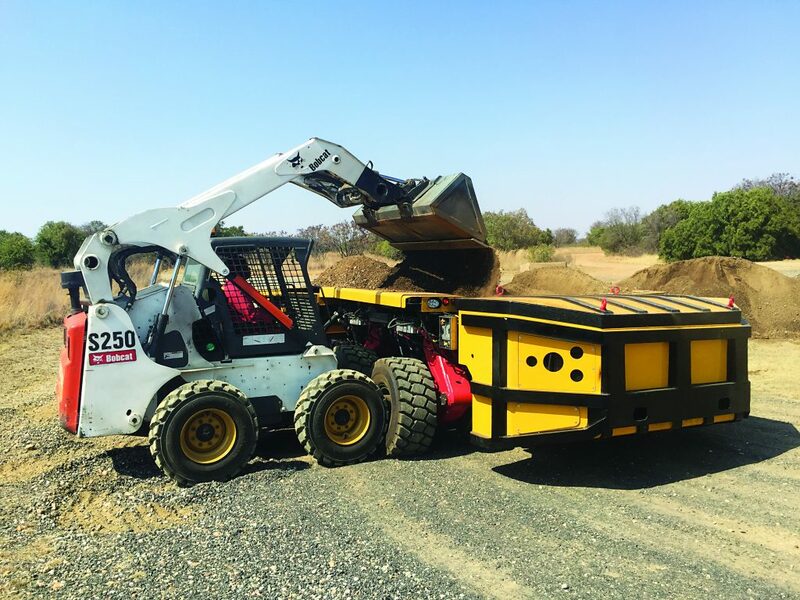 It starts with the distribution centre equipped with five buffer spaces and a heavy-duty transfer platform, which handles the distribution of trailers and wagons on demand. The workpieces enter into the robot blasting cabin, and are moved from there by means of the rope conveyors first to the primer station, then to the painting station and finally through the dryer cabin where at the end, two more buffer positions are placed and a second transfer platform. From here, the conveyor line continues on two parallel assembly lines, each about 90m long, where the wheelsets are fitted to the trailers and wagons. The extension of a second paint line is in the planning stage, so that this area can operate as a double-lane line, if needed. Previous articleAlways Ready for ACTION!